First of all, belated good wishes for 2018. 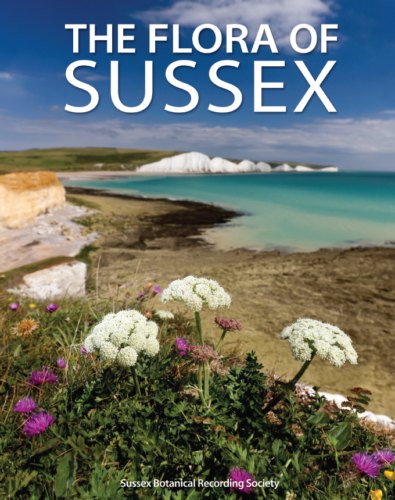 We are beginning to build a programme of events for later in the year but I just wanted to alert you to the following forthcoming publication and pre-publication offer on a brand new Sussex flora as I know many of you are keen amateur botanists. Many thanks to DACS member Ann Price from Dallington for alerting me to this. Just be aware that I have cut it fine on the deadline for the offer so, if interested, do not delay. Think of it as Valentine’s Day present, to yourself if necessary. This is a major publishing event: the first full county flora since A. H. Wolley-Dod’s Flora of Sussex published in 1937. The new The Flora of Sussex, compiled by the Sussex Botanical Recording Society, is a very big book — about an inch taller and wider than a copy of Country Life and a mere 544 pages of full colour — with a suitably big price and pre-publication offer. If you do order, please let me know so we can gauge interest levels for the future. Thank you. Some of you may wonder why we haven’t teamed up with Rother Books, our cracking little local bookshop on Battle High Street. We shall be working with Rother Books this year on other projects but in this case the publishers are not able to give any trade margin so it wasn’t to be. If you haven’t discovered Rother Books yet, do go and introduce yourself to Ian Cawley. As well as a terrific general stock, he has strong history and natural history sections. I am half way through the amazing The Hidden Life of Trees by Peter Wohlleben that I bought there for my holiday reading (I’m in a farmhouse on Dartmoor as I write). If you come across anything — walks, talks, books, shows — that you think might be of interest to DACS members, do let me know so I can share it.